Heathid Equis are a duo from Texas that plays a mixture of old school black and doom metal and this is a review of their 2018 album "Fields" which was released by Grey Matter Productions. A very dark and heavy sound starts off the album while the vocals are mostly high pitched depressive black metal screams along with the solos and leads bringing in more of a modern and melodic atmospheric sounding and you can also hear a lot of doom metal elements in the slower sections of the songs. A great amount of 90's influences can also be heard in the musical style while the riffs also bring in a decent amount of dark sounding melodies along with some spoken word parts also being used used briefly and as the album progresses an acoustic instrumental is added onto the recording before returning back to a heavier direction on the remaining tracks. 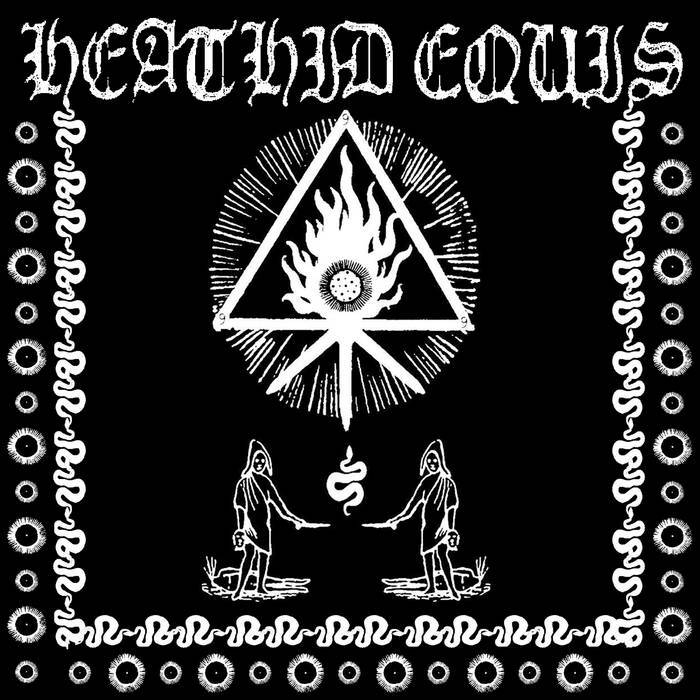 Heathid Equis takes the old school, depressive and atmospheric styles of black metal and mixes them with doom metal to create a sound of their own, the production sounds very dark and raw while the lyrics cover dark and depressive themes. 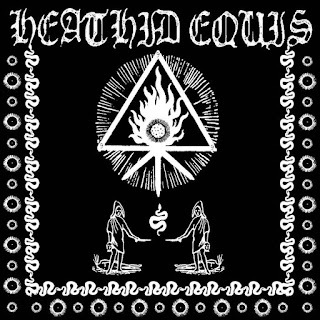 In my opinion Heathid Equis are a very great sounding old school mixture of black and doom metal and if you are a fan of those musical genres, you should check out this duo. RECOMMENDED TRACKS INCLUDE "Sathos Funeral" and "An Ocean Of Mistrust". 8 out of 10.